Do you skate through life effortlessly? Envy! Astrid’s always (ouch) tripping up! Can she make it through the toughest summer of her life without falling flat on her face? Astrid and her bestie Nicole do everything together. So when Astrid falls in love with roller derby and signs up for summer camp, she’s sure Nicole will be right by her side. Therefore it’s a massive, earth-shaking shock when Nicole enrols at ballet camp – with Astrid’s biggest rival! How will Astrid stay on her skates? Can she survive without Nicole? 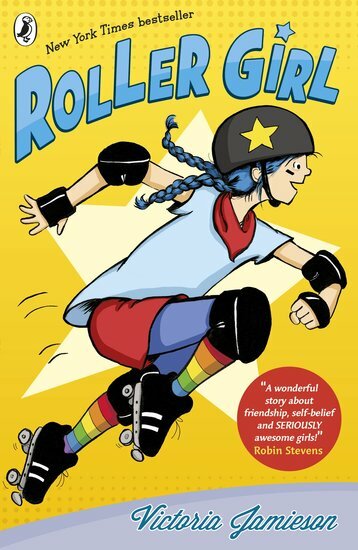 And is she strong enough to prove herself as a super-tough, super-brave Roller Girl?